Throughout the North, but especially in northern Canada, resource development has often proven to be devastating for Arctic peoples and communities. Take Yukon’s gold rush, which saw 100,000 people to travel to the Klondike region between 1897 and 1899 to prospect for gold. That influx of people that caused devastating effects on the indigenous peoples, said Chris Soutcott of Lakehead University during a Sept. 19 presentation at the Nunavut Research Institute in Iqaluit. Soutcott spoke about a project called RESDA, short for “Resources and Sustainable Development of Resources in the Arctic.” The project will try to provide communities with information so they can avoid the kinds of problems caused by the gold rush or by the whaling industry based on Hershel Island in the beginning of the 20th century. The huge northern research project, which involves 60 researchers across the circumpolar world, hopes to help communities in Nunavut get more out of resource development, Soutcott said. The international team of researchers will present their findings to the communities they study after the project wraps up, he said. 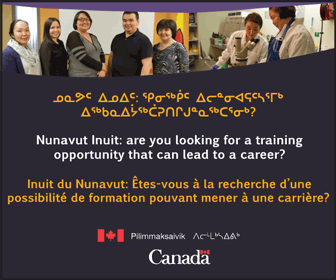 Nunavut Tunngavik Inc., a partner in this project, plans to advise the researchers on “the types of good research in their region.” These could include looking at communities where mining takes place so “we would know the best ways of doing that mine and the mining benefits to them,” he said. The RESDA project’s overall goal is to make sure northern communities can better manage development. “You’re looking at a whole range of options to try and give people a choice of tools that will help,” Soutcott said. Project researchers plan to start by exploring the relationships between mining companies and communities. “What are the best IBA’s [impact benefit agreement], what’s the best situation in terms of social and economic impact assessment regulations: these are all things we’re going to look at to find,” Soutcott said. The project won’t evaluate the profitability, or what’s important for governments, he said. The presentation in Iqaluit was as first step to introducing the project to people in the city. 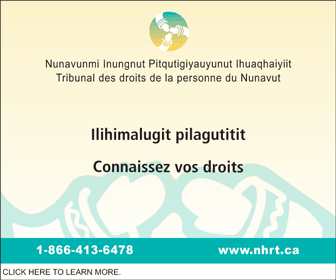 The project, which is getting money from the Social Sciences and Humanities Research Council of Canada, also plans to open an office in Iqaluit and hire a part-time co-ordinator.